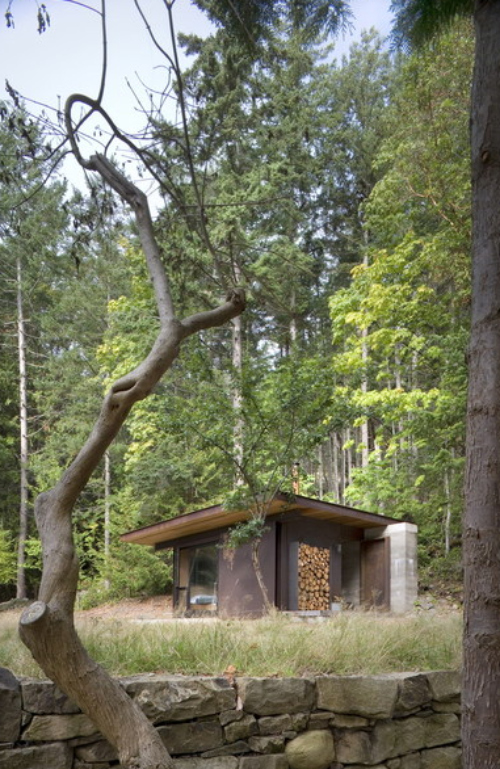 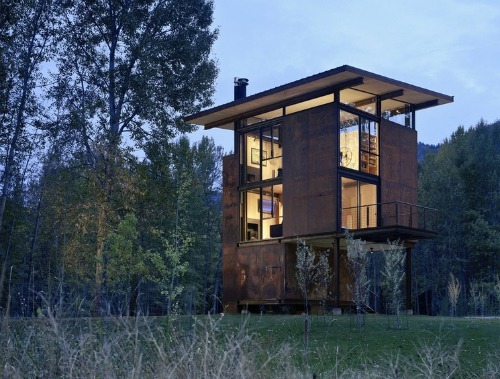 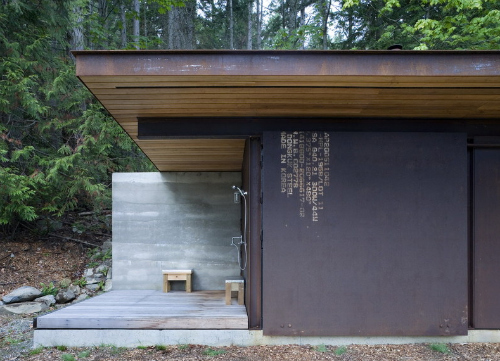 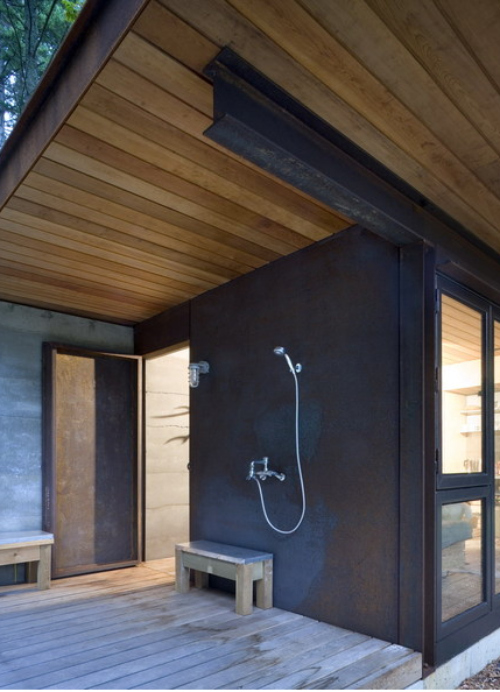 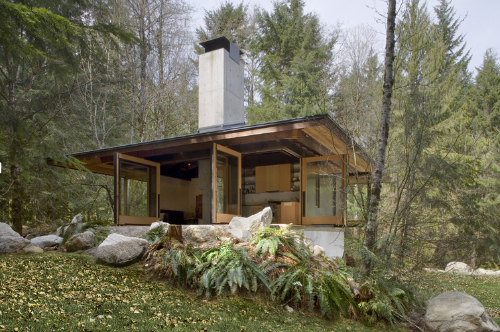 After seeing an outdoor shower by Olsen Kundig Architects on Remodelista the other day I went and checked out their work. 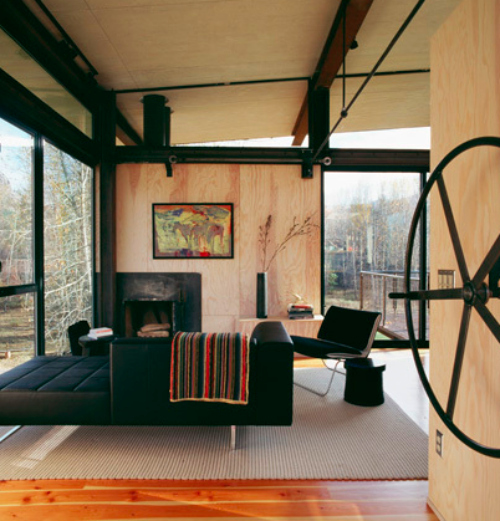 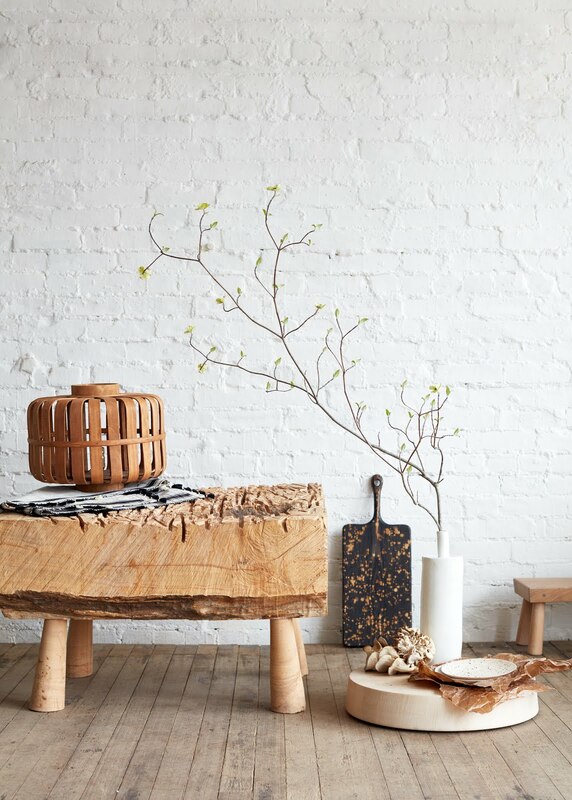 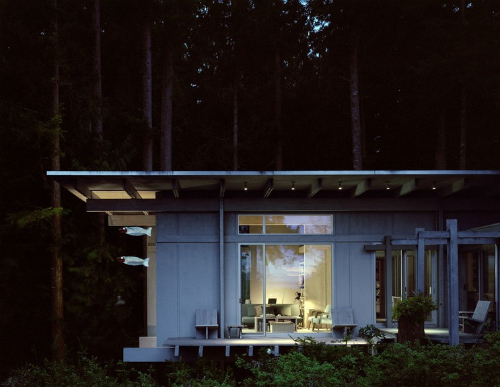 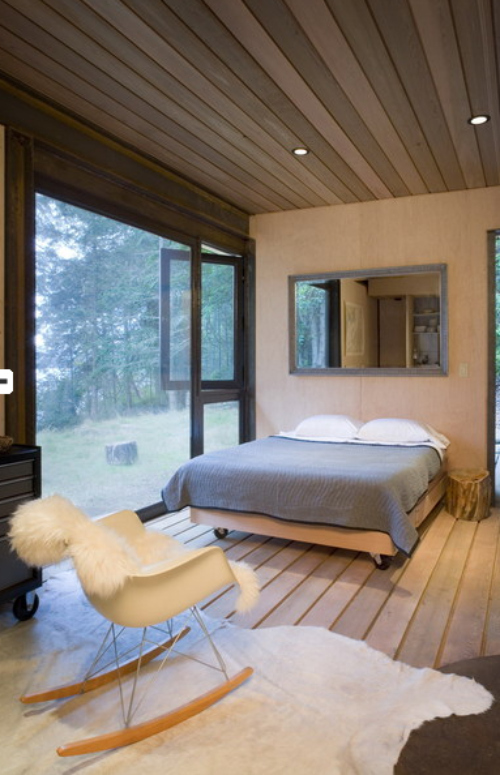 I fell head over heels for the simple, rustic- modern very cool cabins they have in their portfolio. 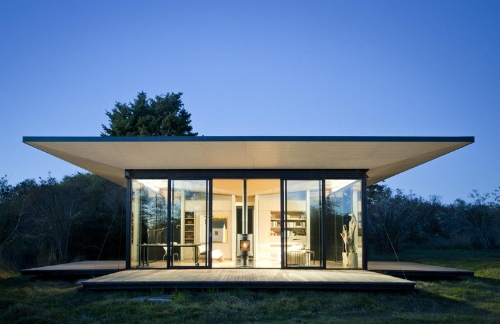 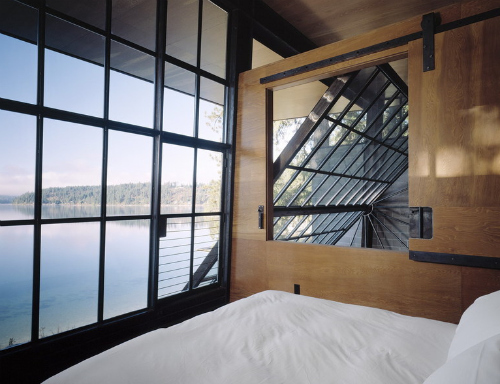 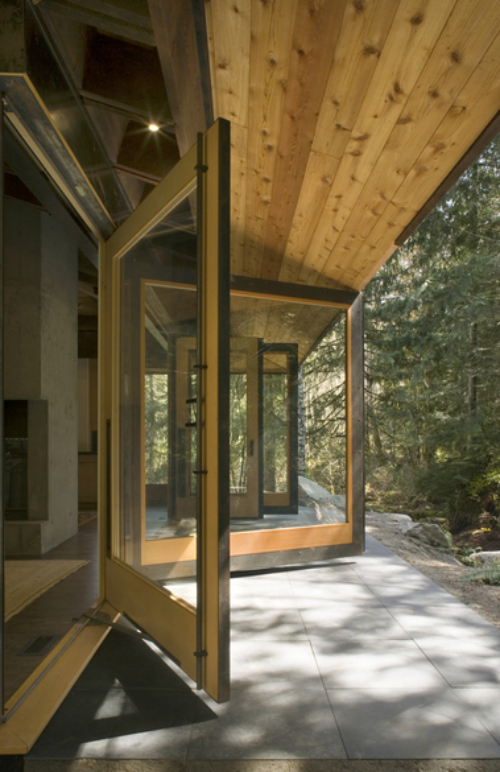 The steel panel slides across a window wall to secure the cabin when not in use. 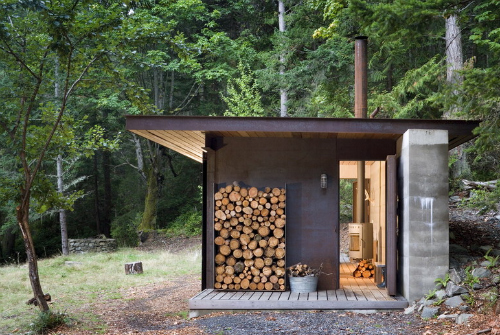 A great steel wood storage area. 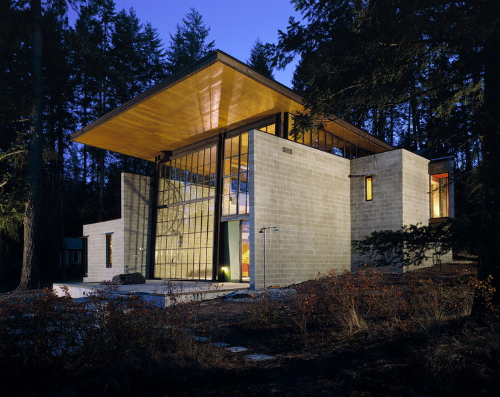 Notice the slanted roof allowing light to stream in from above. 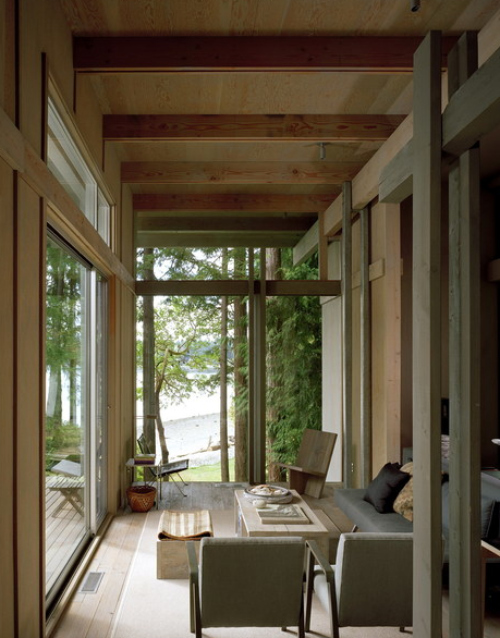 I dream of large glass doors that open onto a patio just like these! 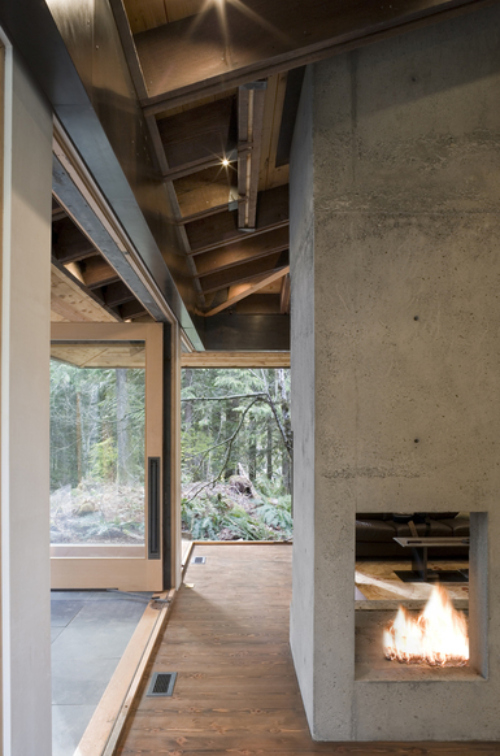 And this concrete double sided fireplace is a perfect touch. 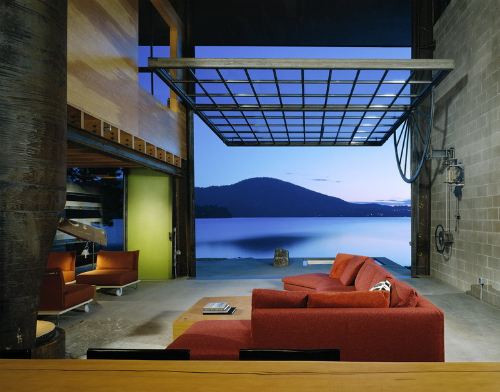 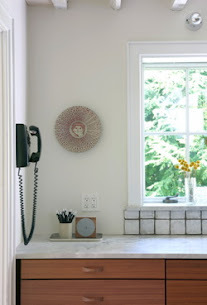 Check out this huge crank operated glass wall! 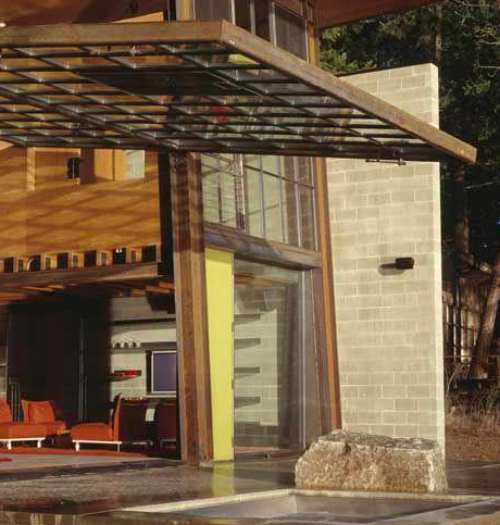 Using hydraulic winches the decks pull up to close up the space when the owner is away.